The ZyXEL GPON OLT2412 Series provides up to 2048 FTTH subscribers with eight PON line cards that supports at least 32 ITU-T G.984 GPON fiber links or eight GbE line cards for 32 active non-blocking Gigabit Ethernet fiber links. The GPON line card supports the split ratio of at least 1:64, while each of the four SFP slots supports both class C+ and class B+ transceivers for different service reaches. 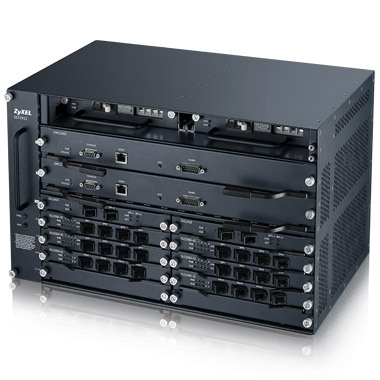 The temperature hardened design allows service providers to install ZyXEL GPON OLT2412 Series in street cabinets to provide services for more subscribers. 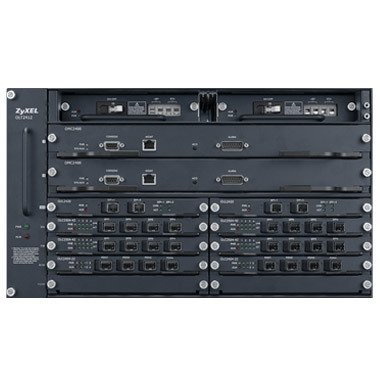 The ZyXEL GPON OLT2412 Series supports Dual Stack. By supporting MLD, IGMP as well as other comprehensive IPTV functions, the OLT2412 Series can be deployed in either IPv4 or IPv6 environments. Users can also provision protocol-based VLAN for IPv6 traffic or assign various IPv6 access control list profiles for each subscriber. The ZyXEL GPON OLT2412 Series provides two types of PON protection defined in ITU-T G.984, type A and type B, to prevent fiber cuts or PON card failures. With all common modules supporting redundancy, the OLT2412 Series is able to avoid single-point failures to ensure non-stop user traffics, and service providers can benefit from applying VLAN bridging, VLAN translation, VLAN isolation and Multicast VLAN to quickly setup services for various types of subscribers. 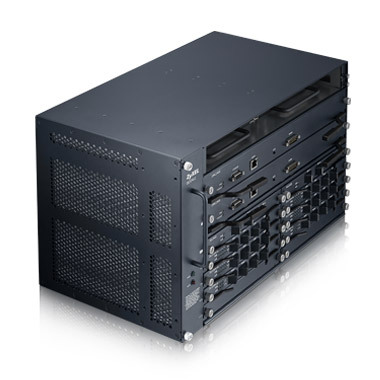 The OLT2412 Series also supports comprehensive QoS and complete traffic management for efficient triple-play services.